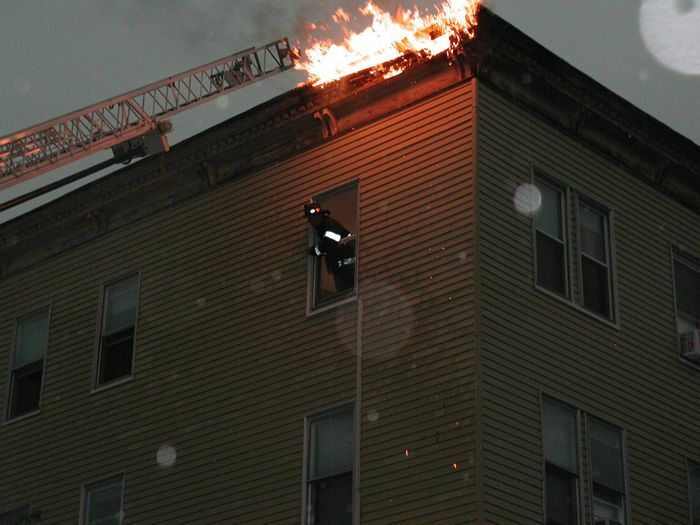 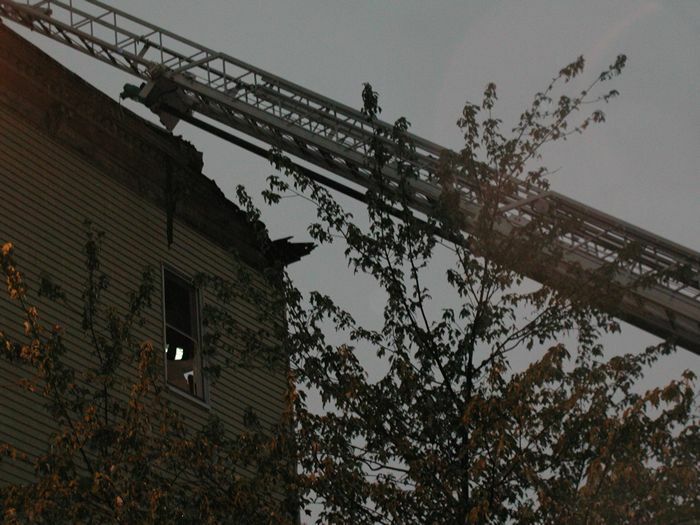 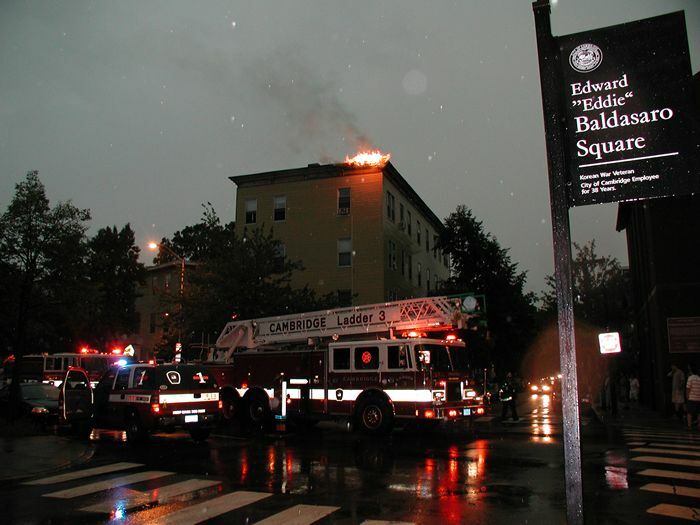 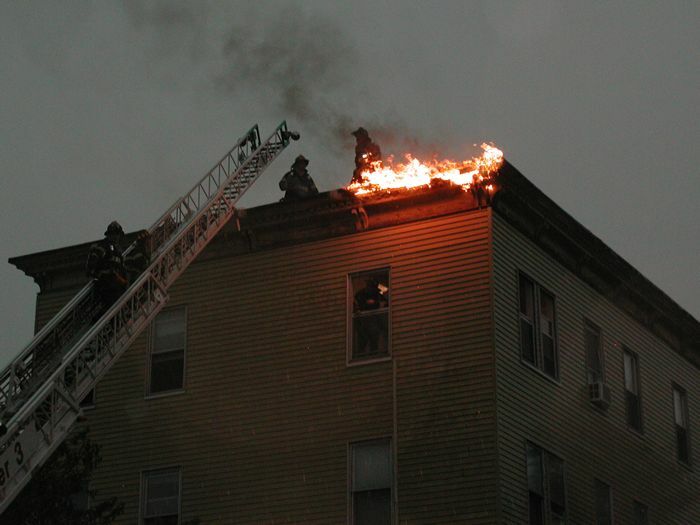 Lightning Strike and Fire at 270 Norfolk St. 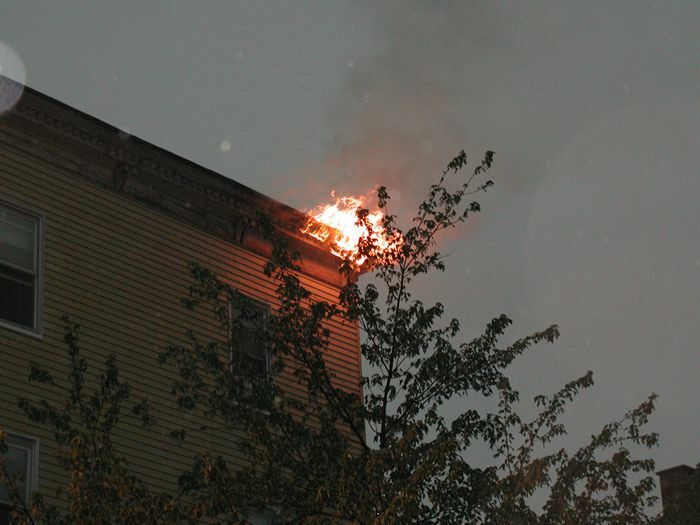 Hearing a sizzle followed immediately by the flash and clap of lightning, I soon discovered why I had been able to hear the sizzle; it had occurred only about sixty yards from where I had been standing. 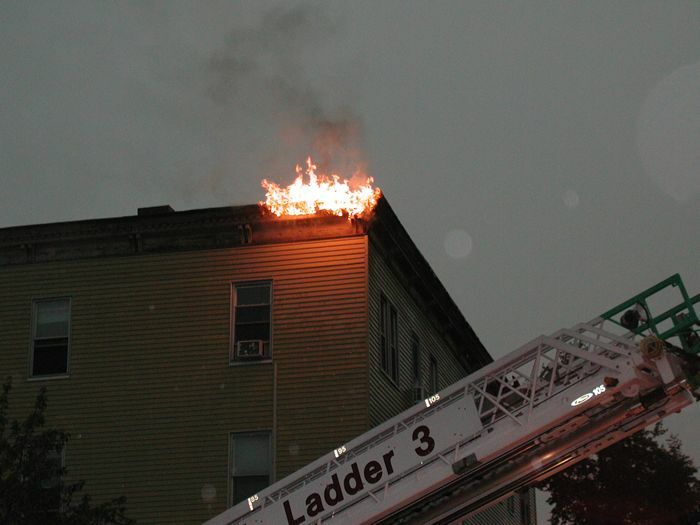 This is what I saw at 270 Norfolk Street at the corner of Hampshire Street.